Announcing an exciting event with our partners Public Sector Customer Services Forum that will help you deliver real change. We’re pleased to say that comms2point0 is joining forces with Public Sector Customer Services Forum to stage an event which we think will deliver a stack of value. First, the scenario... part of your organisation has a great idea that could change how something is done, save money and lead to a better service. What you’ll get out of #commsforchange14. 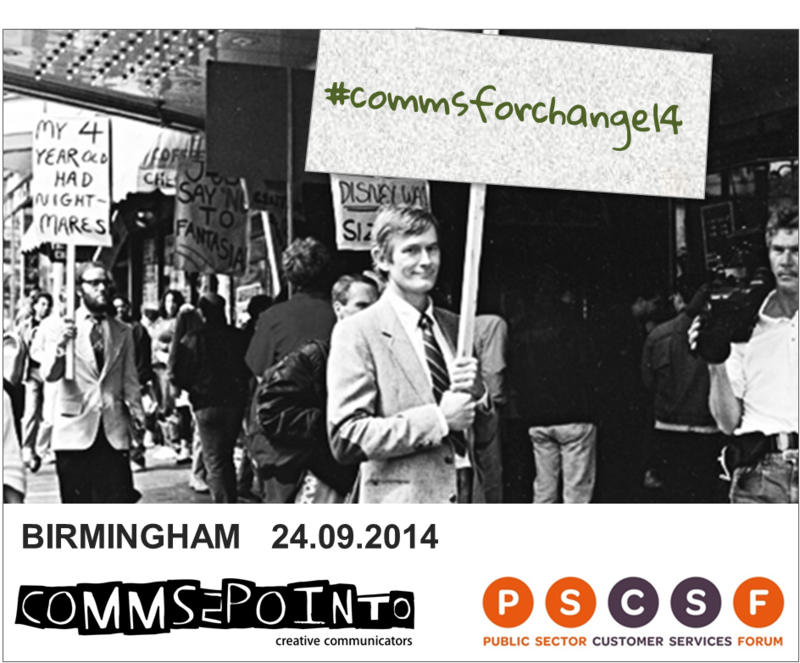 Of course, the great thing about doing comms2point0 is being able to turn a conversation and an idea into reality and with the excellent Nick Hill of Public Sector Customer Services Forum we’ve done just that and on Wednesday September 24 at the Bond Company, Fazeley Street, Birmingham #commsforchange will become a reality. You can find more out about the event at the Bond Company, Fazeley Street, Birmingham on Wednesday September 24 by clicking the link.